Stationery Snob? Who me? – Write with us! I like paper. No, lets just be clear, I like stationery. And if you really want me to be specific…I love personal stationery. There’s something about your name in print. I remember visiting a friend and they had letters from former presidents framed and hanging on the wall. Not written on stationery from “The White House”, or “the office of…” but personal stationery. Even today, it’s still special to them. We get email from politicians everyday. But what would really sway my vote would be a handwritten note on their personal stationery. Show me how much you really care. 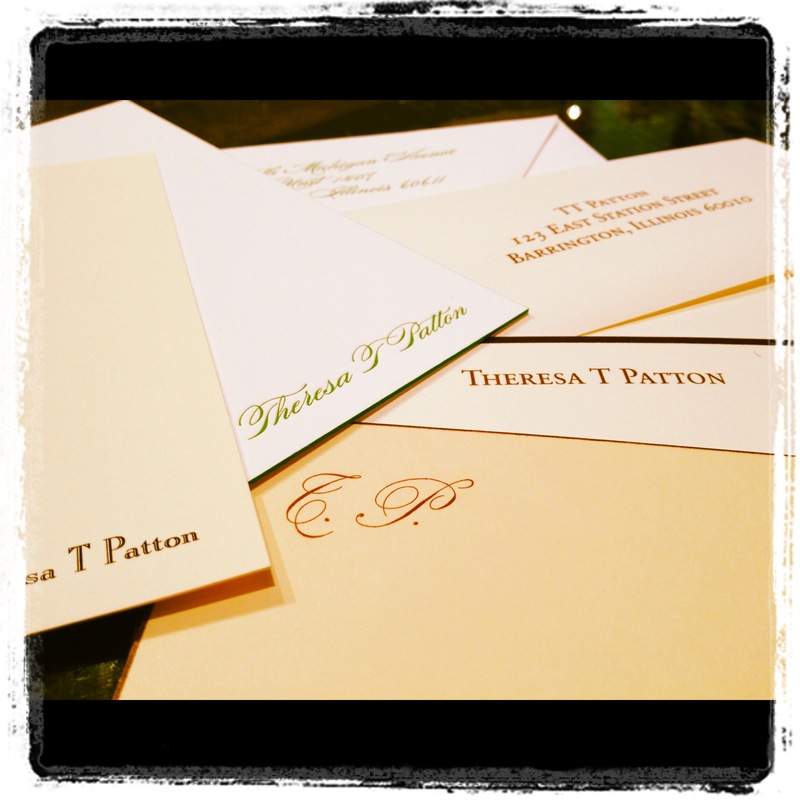 Stop in TT Patton, select your paper of choice, decide on the many fonts and custom calligraphy available. We’ll even make you a copper plate so you can engrave it over and over again. Yes, Mr. President and Mr. Governor, I’m a stationery snob. And if you want my vote and the votes of other stationery snobs, you should consider some fabulous personal note cards and get to writing! I mean, what else are you going to do with all that PAC money? Next Post She’s a natural!